Chilly Pepper (WIN), specializes in critical care for orphan foals and sick and injured babies whose lives are in imminent danger. 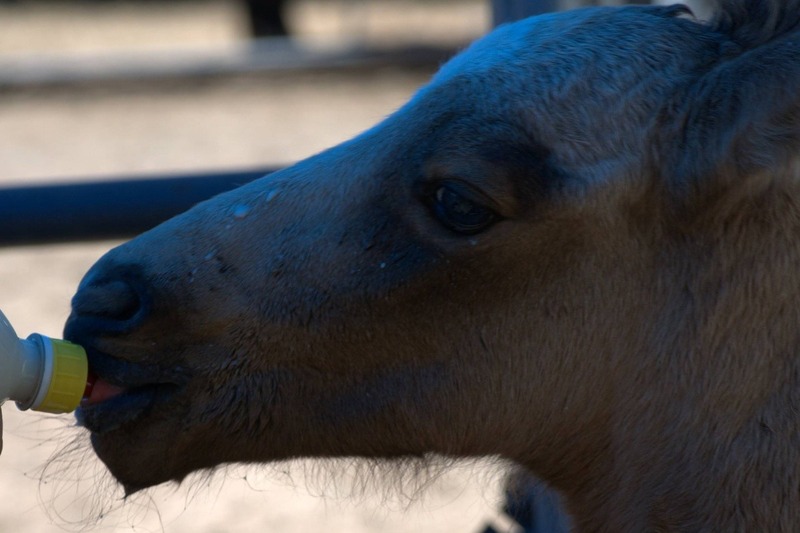 We rescue all equine, no matter what the ages or breed, and host various other creatures at our rescue. But our specialty are the orphans whose lives are at risk and need our immediate expertise. The often tiny, (many of them only days old), babies have been run for miles in over 100 degree heat, left in traps with no food or water for up to 48 hours, and then stripped from their families. Many of these babies have life threatening injuries and immediate care is their only chance to survive. We are in crisis mode as we need to set up our satellite facility so the trappers can once again drop off the babies who need urgent care. We need to set up pens, bring in an appropriate building (where we can control the temperature) for a nursery, and we need to do it NOW! Lives are on the line each and every single day we are not set up. The approximate cost for the building is $5,000 with another thousand or so to insulate and prepare it for the babies. This nursery will be the urgent and critical care center. It will take an additional 4 or 5 thousand to purchase & properly set up the panels with a runway, play/exercise area and to make a squeeze chute for babies who are bigger and injured or critically ill.
We saved 150 or more babies, pregnant mares, mares and foals and stallions so far this year before the facility was dismantled. We still have a few panels up there but not what we need to provide safe and proper care. 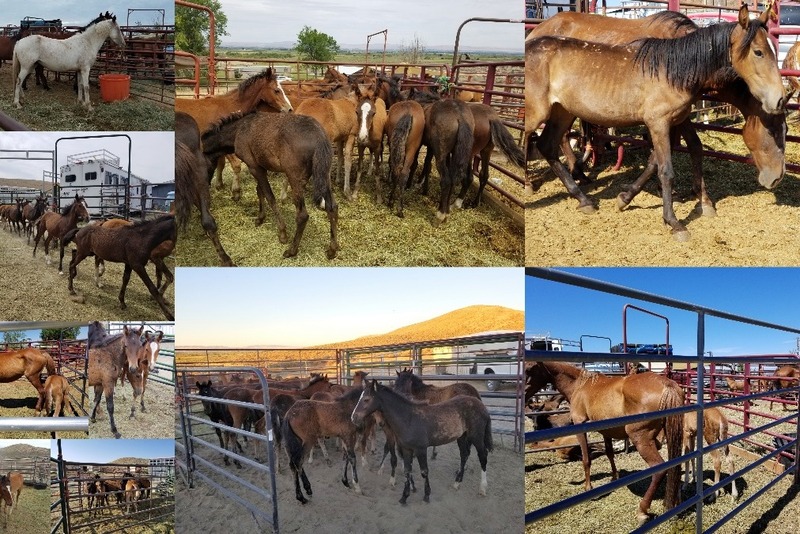 We actually had a total of 70 horses, 60 of them being orphans in extremely poor shape, with many injured, sick or extremely thin, and all of them were wormy. 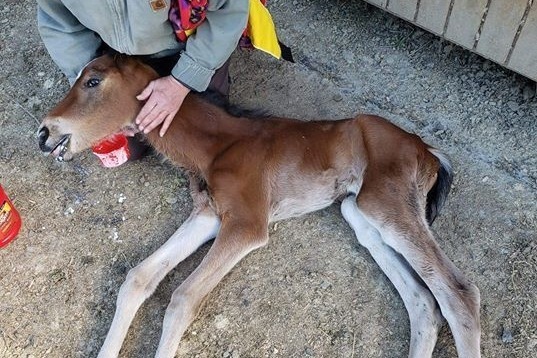 We need medical supplies, Foal Lac Powder, Foal Lac Pellets, Mare & Foal, alfalfa pellets, etc. etc., and hay to get these kids back on track nutritionally. asap so we can continue saving these innocent lives. 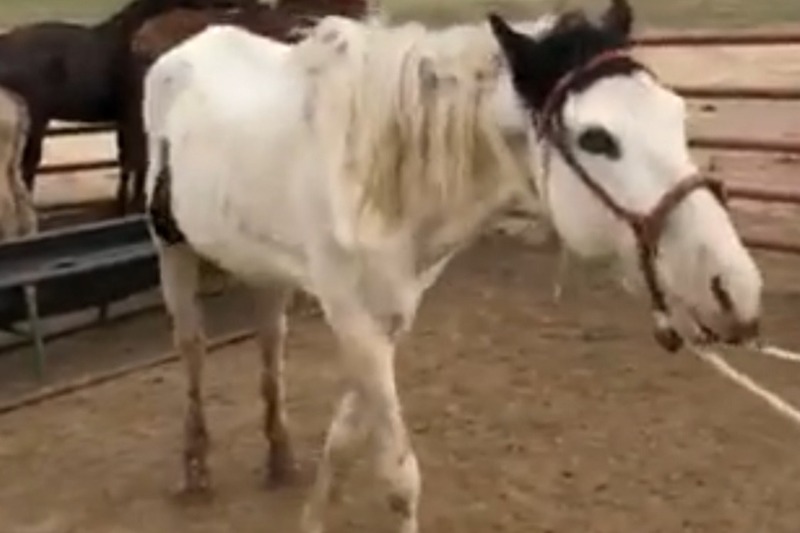 Every single dollar donated helps save one of these precious lives, and sometimes, when we get a miracle, we can also save some of the mares and stallions as well. ANOTHER URGENT CALL - 5 + babies to pick up on Monday. One colt in critical shape has been taken to our nursery in Toppenish. He needs immediate care and the vet is on the way. Please help us save these new kids. We just pulled 11 from the kill pen and have had over $4000 in vet bills so far this month. We are tapped out and need to get going asap to make sure we can save these babies. We were able to save all 16 babies that were found alive in the snow. Thank you for making that happen! We just saved the 11 year old, stallion - "Artie". We were in the middle of delivering babies to their new homes and caring for the 2 surviving babies from the starvation/abuse rescue up in WA. We still have 11 babies waiting for pick up in Yakima, as well as babies slated to be delivered in Idaho asap. 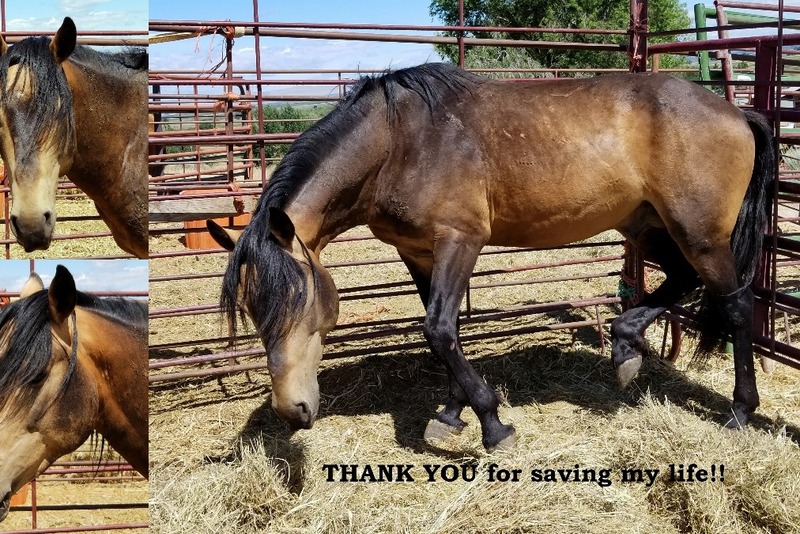 Then we found out last night that we will need to run 2 truck and trailers to the East Coast as we transport some very pregnant Devil's Garden mares. 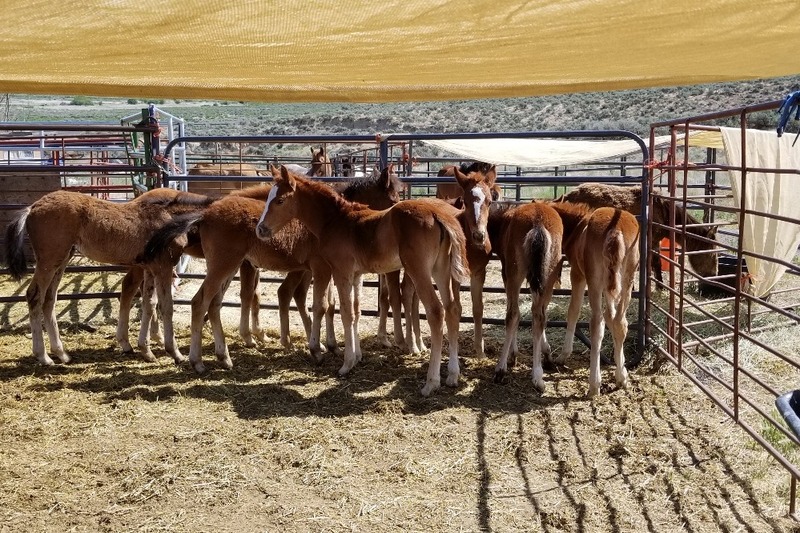 These horses are so "at risk" as they are being sold for $1, yes - one dollar, in groups of 34, which is pretty much the number that fills up a slaughter truck. As the weather is horrible, and we need to take them to the East Coast (and I mean literally), they will have to stay at Chilly Pepper for whatever time it takes for the roads to be safe . We have no funding for these 12, and we will definitely need help feeding these kids. It is that time of year when we are supposed to be ready for the new babies. 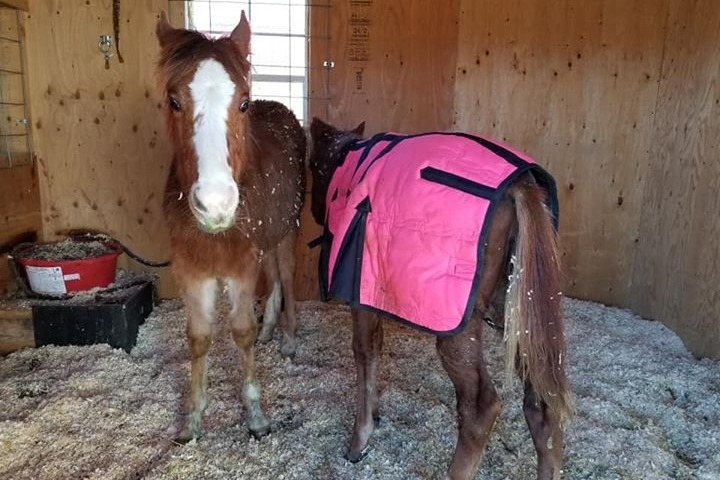 We have barely started to set up Mama Mel's Urgent Care Nursery, in Toppenish, WA, where the catchers will drop the unwanted babies from the roundups. 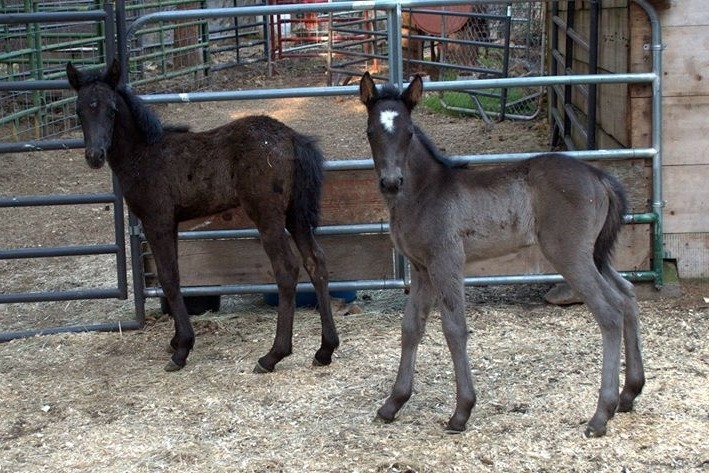 We will need thousands of dollars of Foal Lac Powder, Foal Lac Pellets, grain, medical supplies, panels, shelters etc. We had planned on being way farther along by now, but God has kept placing emergency rescues in front of us. Please help us be prepared for the delivery back east and the upcoming babies. Just wanted to say THANK YOU to everyone who has stepped up to help save these precious lives. Right now we are working on a rescue of 15 orphans. We need more help now to secure shelter for the babies that will be coming in to the nursery in Yakama. The weather is cold and every single baby that comes in needs shelter and good feed. Please help us keep saving lives! Happy Holidays from all the Horses whose lives you help save!